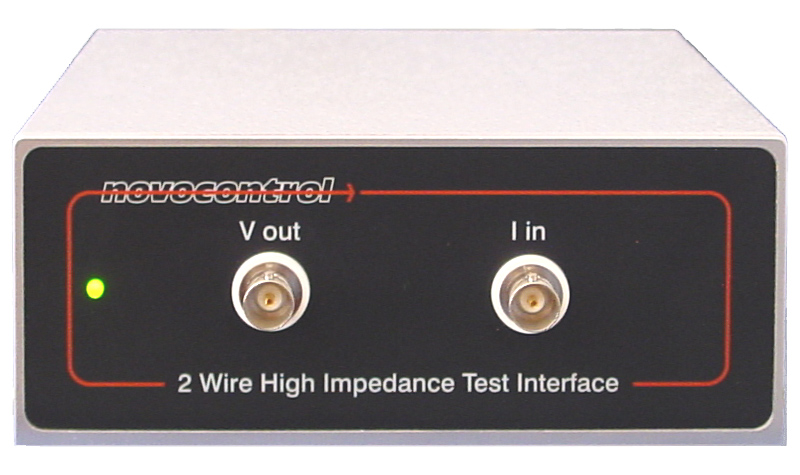 The ZG2 extension test interface for the Alpha-A modular measurement system features high quality general purpose dielectric, conductivity, impedance spectroscopy and gain phase measurements. ZG2 is an economical version of the ZG4 interface. It has the same functionality as ZG4, but supports only 2 electrode measurements, but no 3 and 4 electrode measurements. ZG2 has the same functionality as the ZGS interface but is not integrated in a parallel plate sample cell as ZGS. Compared to the ZGS active cell nterface, the combination ZG2 + BDS 1200 is less accurate. On the other hand, ZG2 is easier to use in combination with other sample cells and therefore somewhat more flexible as ZGS. 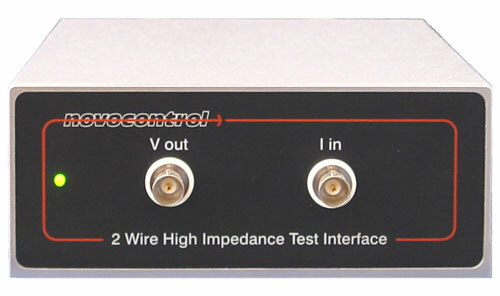 The external interface design allows to locate ZG2 close to the sample in order to minimize cable effects. Cables in the sample impedance path may limit the usable high frequency range due to inductance and contribute low frequency noise for high impedance samples.